Born near Castelnuovo in the diocese of Turin in 1815. His early years were most difficult so he dedicated himself to the education of the young. They were instructed in both the arts and the Christian life. He wrote pamphlets for the support and defense of religion. Died in 1888. St. John pray for us! Be merciful, O Lord, for we have sinned. Our salvation is given through which sacrament of faith? 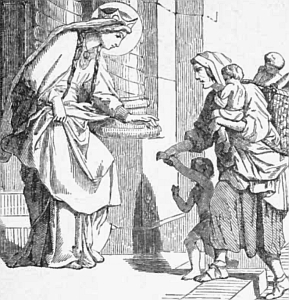 An English girl, St. Bathildis was captured in the 7th century and was sold as a slave to the mayor of Paris. She was forced to marry King Clovis II. He was a foolish and debauched man. When he died, she became regent. She brought many good changes to France, including stopping slave traffic. She also founded the nunnery of Chelles and the abbey of Corble. She retired to the nunnery in 1665 AD and lived a life of prayer and self-denial. She died in 680AD. The Lord God will give him the throne of David, his father. How many Books of Psalms are there in the Old Testament? St. Gildas the Wise was born in the Valley of Clyde around 500 AD. He was a teacher and the first British historian. Not too much is certain of his life but it seems he had to flee to Wales and was married. After his wife died he studied under St. Illtyd. After some time in Ireland, around 520 AD he went to Rome and founded a religious house at Ruys in Brittany on his way back to Wales. He visited Ruys and Ireland again and died at Ruys on January 29, 570 AD. He was known for the first history condemning British vice – the only history of the Celts. For ever I will maintain my love for my servant. Jesus prayed before all the decisive moments of his ministry in serving his Father’s will. True or False? Born around 1226 into the family of Count Aquino, at age 5, Thomas was placed under the care of the Benedictines of Monte Casino. He surpassed all his fellow pupils in learning and in the practice of virtue. St. Thomas chose to enter the Order of St. Dominic despite the opposition of his family. St. Thomas persevered in his vocation despite his family’s severe opposition. They went so far as to send an impure woman to tempt him. His fidelity to God was rewarded with the gift of perfect chastity, which has merited him the title of Angelic Doctor. He studied under St. Albert, the Great. He was nicknamed “Dumb Ox” because of his silent ways and huge size. He was brilliant. At age 22 he was appointed to teach. He also began to publish his first works. He was sent to Paris four years later. He was ordained to the priesthood and received his doctorate at age 31. He dined frequently with the King, St. Louis. Pope Urban IV called him to Rome to teach but he declined to accept any ecclesiastical dignity. He wrote prodigiously and brilliantly. He fell sick on his way to the Second Council of Lyons and died at the Cistercian monastery of Fossa Nuova in 1274. His “Summa Theologica” was left unfinished by his death. Who is this king of glory? It is the Lord! Born in 1474 in Desenzano in Italy. At age 15 she became a tertiary of St Francis. God revealed that she would establish a “company” to promote the welfare of souls. In her home town she founded a school for young girls and another at Brescia. 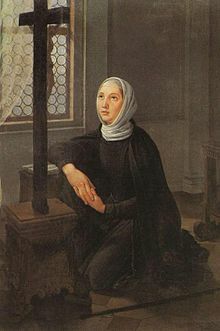 She established twelve religious companies and founded the Ursulines of Brescia. Her organizations would remain in the world but devote themselves to every type of corporal and spiritual works of mercy. Most important was education. Her foundation was of a new society which would advance the order in the world around them. They did not take vows or wear habits, but did have to adopt the canonical safeguards required of all nuns. St. Angela’s company chose St. Ursula as their patron. St. Angela’s schools strengthened Catholicism in Italy. She died in 1540 AD. My faithfulness and my mercy shall be with him. Who built the temple of Jerusalem and made of it a house of prayer? Born of a Greek father and a Jewish mother, Timothy was from Lystra in Lycaonia. He was well educated. 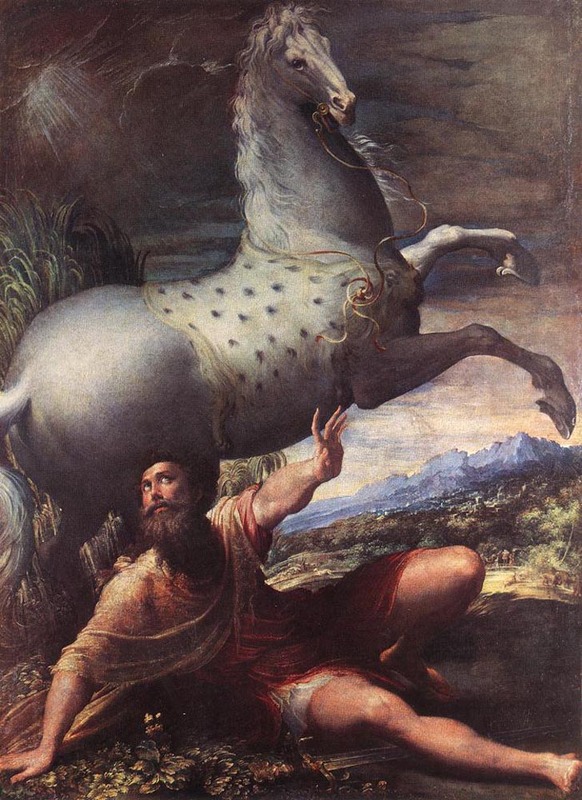 He and his mother, Eunice and grandmother Lois probably became Christians during St. Paul’s first stay at Lystra. When Paul returned to Lystra, the Christians highly recommended Timothy and so Paul chose him as a missionary companion. He was sent on difficult and confidential missions. 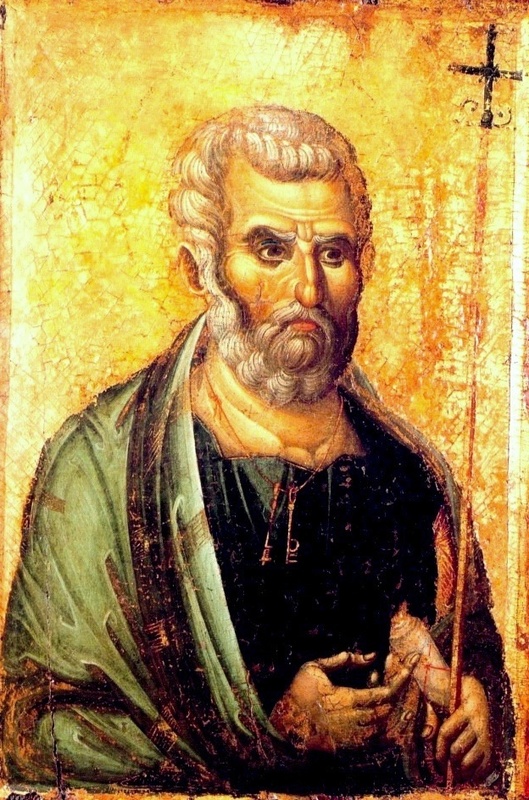 He was with Paul during his imprisonment in Rome and accompanied him on his last missionary journey. Timothy was left to take charge of the Church at Ephesus. Tradition has it that Timothy spent the remainder of his life at Ephesus as its Bishop. He was martyred during the winter of the year 97. The Lord is my light and my salvation. Every Christian is obliged to rest on Sundays. True or False? Born in Tarsus of Jewish parents – he was a Roman citizen by birth. 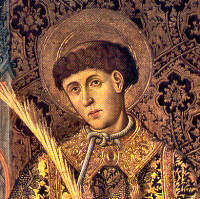 He took part in the persecution of St. Stephen. He was sent to Jerusalem where he was educated in ancestral law. He was a zealot. He returned to Tarsus sometime before the public life of Christ. On the way to Damascus to arrest Christians, Jesus appeared to him in a blaze of light and spoke to him. He was transformed and converted to Christianity and became an Apostle. Go out to all the world and tell the Good News. The Law of Moses is imperfect. True or False? St. Francis was born at Savoy in 1567. After being ordained a priest he labored diligently for the restoration of Catholicism in his country. He showed himself as a true pastor toward his clerics and the faithful by his writings, works, and example. He died at Lyons December 28, 1622. St. Francis pray for us! The Old Testament law gives the grace to choose right from wrong. True or False? He was born in Spain and educated by Bishop St. Valerius. He was ordained and commissioned to preach. Dacian, governor of Spain arrested him. The Christians were being persecuted and he was put in prison at Valencia and was tortured because he refused to sacrifice to pagan gods. He converted the prison warden and died in prison from the effects of his torture. In God I trust; I shall not fear. A person can be converted by God’s grace whether he/she cooperates with that grace or not. True or False? A soldier, named Magundat, in the Persian army. Relics of the True Cross were brought back to Persia from sacking Jerusalem and he became attracted to Christianity. He went to Jerusalem where he was baptized and took the name Anastasius. He became a monk and preached against pagan worship. He was tortured because he refused to forsake Christianity. He was finally strangled and then beheaded after 68 Christians were beheaded in his presence. What is the new name for the New Law?